These drawers are cut from a single piece of wood, allowed to dry out before reassembling & gluing back together. Cutting the wood on a curve reveals the beautiful grain patterns inside.The curved side of the top draw is hinged & opens up. They can be used as bookends. 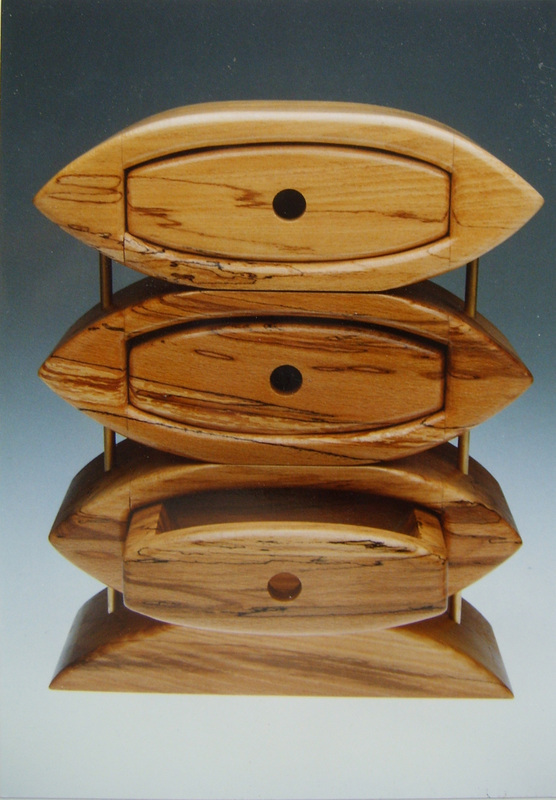 Each single set of 3 drawers measures 30 x 15 x 9cm. 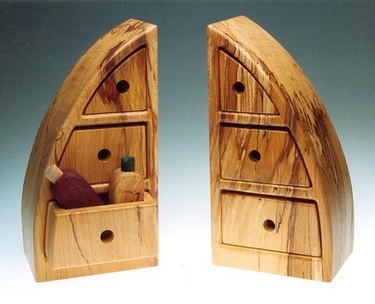 These are made to order & each set will differ because of the grain patterns. 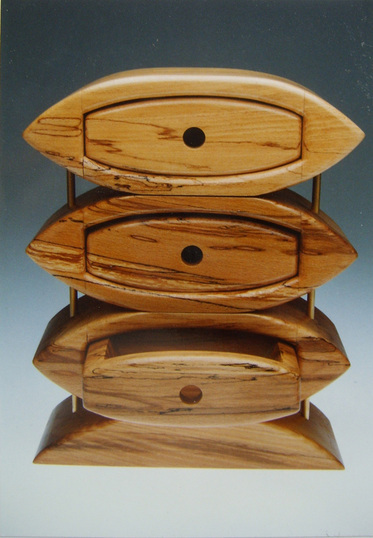 These unique drawers can be used to store jewellery or small objects & treasures, or simply be enjoyed for their beautiful grain patterns. Again made from 3 solid blocks of wood, these are in Spalted Beech. Two Brass rods secure the drawers together & contrast with the wood. Made to order, they take a while to dry out after being cut so please allow 5-6 weeks from the date of ordering. Please contact me to see what wood I have available.